Sound & Light show at City Palace with Dinner. 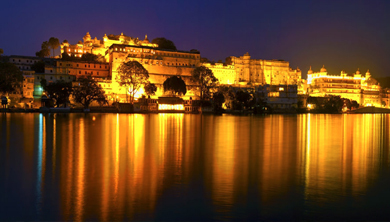 Make your night in Udaipur truly sparkle thanks to this 3-hour experience featuring a sound and light show at the City Palace followed by an included dinner. Explore several centuries’ worth of ‘Mewar’ history during a performance of ‘The Legacy of Honor,’ a multimedia extravaganza narrated by Mewar house member Shriji Arvind Singh. You’ll finish the night with an included dinner. Hotel pickup and drop-off using AC Vehicle as per number of pax. Walking Tour of Old City of Udaipur. Meet your guide at the designated meeting point. 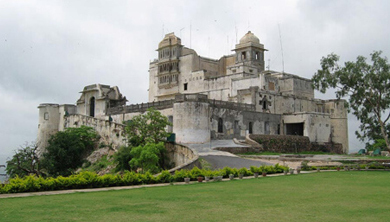 Walk on to the ramp of the main gate to reach the grand Udaipur city palace. Walk to the City Palace’s Badi Pol entrance through a steep, elephant-flanked flight of steps. Walk further in the sloping and rising lanes of old Udaipur city to reach Gangaur Ghat. Visit the gracious 18th-century Bagor Ki Haveli, set on the water’s edge in the Gangaur Ghat area. Walk into the narrow streets of old city to see and understand the incomparable art. The miniature paintings are small in size, but they are extremely detailed and elaborate and this requires a high degree of skill and experience. The Miniature Paintings of Udaipur symbolize Rajasthan in many ways – colorful, detailed and opulent. Walk back to starting point to end the tour with happy memories. The walking tour can start anytime between 8:00 am and 3:00 pm as per your convenience and the starting point will be your place of stay in Udaipur. The duration of the excursion will be about 4 hours. You will be led by an organic farming expert, who is actively involved with the local farming communities and organic farming practices. He will also be your best interface with the locals. You will see the lands bristling with the millet, a crop which, Rajasthan is famous for and that holds a chockfull of health benefits. You will learn about these as well as the local traditions, as you interact with residents of the remote villages along the way. 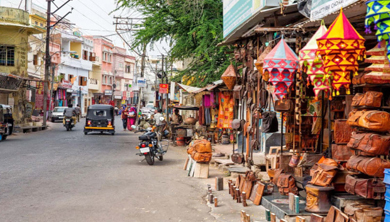 You won’t resist the aroma of the simmering chai emanating from the many shops that dot the village markets. As you take a sip and move on, you will find a lot of sundry items on display. Know what entails their day to day routine as you chat with them and learn about their day. 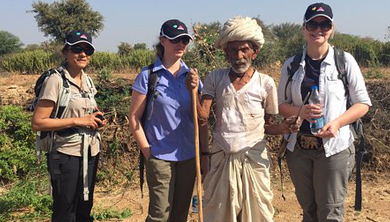 Rural farming, village markets and interaction with the farmers who serve as the backbone of the country, you will feel the pulse of rural India on this walking tour. Despite the harsh climate and wilderness of the desert, you have the culture, warmth and enlivening spirit of the people to bring about lushness to everything around. 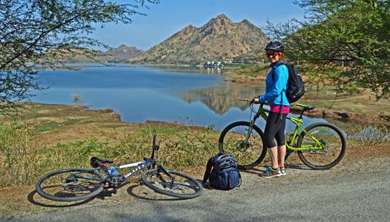 Bicycle Tour of Udaipur Lakes. In the morning, you will be picked up from your hotel & driven to the point, where you will be provided a bike cruiser, helmet and bottled water before you take off on a 3-hour bicycle ride. 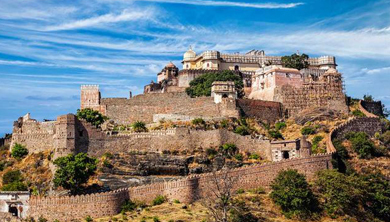 Enjoy nice views of the Monsoon Palace, a small fort built on the top of a hill. Enjoy views of the famous Badi-Lake, also called the Tiger Lake, which is a manmade freshwater lake. Finally, reach the Badi Village where you will be hosted by a local family. 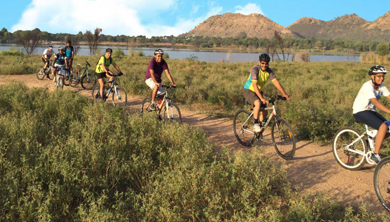 Continue cycling and make your way through a small village and the Fatehsagar Lake. Enjoy cycling around the lake and finally move towards the final point where this amazing bicycle tour will come to an end. After the tour completion, you will be dropped back at the hotel. Rental bike & a helmet. Visit of Monsoon Palace & Sajjangarh Sanctuary. It is named Sajjangarh after Maharana Sajjan Singh of the Mewar Dynasty, who it was built for in 1884. At the foot a hill, Sajjangarh Wildlife Sanctuary surrounds a 19th-century palace. The sanctuary occupies land once used as a royal hunting ground. Today, the place shelters reptiles, tigers, wild boars, panthers, jackals, and other species. 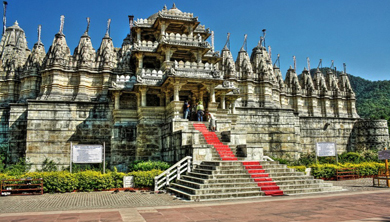 Excursion of Ranakpur Jain Temples. with stunning architecture with visits to Chaumukha Temple, Parsvanath Temple, Neminath Temple, Amba Mata Temple and Surya Temple with Audio Guide. Later on Visits various nearby Temples and seeing architecture and stop for a Lunch for your own Expenses and return back to Udaipur. Cooking Class with Lunch / Dinner at Indian Family House. 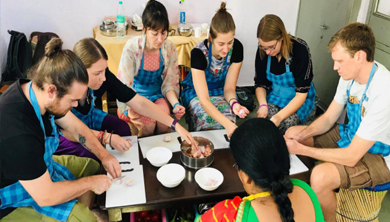 Experience the bold flavors of India in this Udaipur Cooking Class that puts travelers in touch with the lifestyle and traditions that are typical of India. Learn about local life, arranged marriages and the value of family as your hear personal stories and learn to cook traditional Indian cuisine with a local family. Dine in the comfort of their Udaipur home and share a meal as new friends. Morning pickup from Hotel in Udaipur and travel to Kumbhalgarh from Udaipur. Arrive at Kumbhalgarh. Visit the Kumbhalgarh Fort, was built in the 15th century by Rana Kumbha. The fort's thick wall stretches some 36 kms and is wide enough to take eight horses abreast. Maharana Fateh Singh renovated the fort in the 19th century. The Fort also provides a panoramic view of the countryside from the top. The Badal Mahal Palace is right at the top of the fort. Seven huge and imposing gates stand like sentinels at the approaches. The palace has beautiful rooms and is painted in the colours of green, white and turquoise, thus providing an interesting contrast to the raw and grim fortress. After memorable day drive back to Udaipur, where you will be dropped at your hotel. Bicycle Tour of Local Nearby Villages. On this 3 hour city tour explore Udaipur, ‘The city of Lakes’, also called the Venice of the East. Explore the picturesque countryside on giant mountain bikes and cover the famous and beautiful Badi Lake. Visit a local school and interact with the school kids. Ride through the vibrant countryside, lush village fields and nearby villages. Pickup at your hotel for the two-hour drive to Chittorgarh. 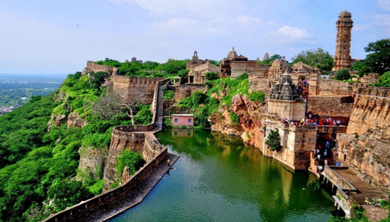 Approach Chittorgarh Fort's seven gateways, or pols, guarded by watchtowers and intricate iron doorways high above the city near Gambhir River. You can begin to imagine the former grandeur of the complex as your private guide shares the history of the fort and its rulers. Enjoy lunch at one of the city’s best restaurants paid by own. After Lunch drive from Chittorgarh to Udaipur. Your tours ends with an included transfer to your hotel.